To house such an extensive class timetable, we need a selection of first-rate studios. As luck would have it, that’s exactly what we’ve got! Let’s start in the fast lane with our fully equipped Cycling Studio. We’ve geared our studio up with 25 bikes and back-to-back classes run during peak times to allow as many people as possible to spin when they want to. Our motivational instructors – coupled with great music and multi-coloured spotlights – ensure every class is a tour de force. It’s cycling, just not as you know it! For a change in pace, enter the tranquil setting of our Mind and Body Studio. Home to our holistic sessions, the relaxed ambience provides the perfect setting to connect your physical actions with your inner self through classes such Yoga and Supple Strength. Our other three exercise studios play host to classes varying from TRX to Kettlebells and Zumba to Cardio Kick. 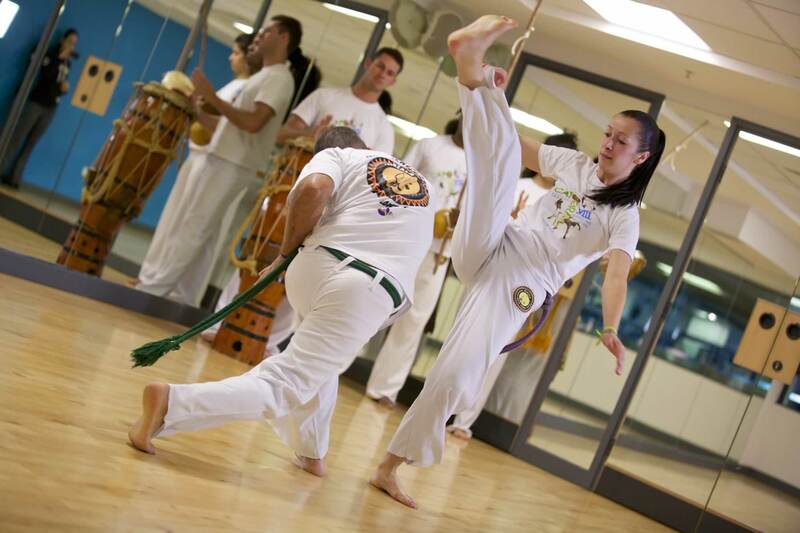 Our classes are hugely popular but we’ve made sure our spacious studios can cope with the demand.